This summer the GMCVB has been fortunate to showcase greater Madison to two groups of travel writers for Familiarization Tours – or FAM Tours as we call them. So what is a FAM Tour? And why invest in it? A FAM Tour is a curated visit to a destination, designed to engage and educate a specific audience with a particular goal in mind. This summer’s tours were tailored to meet the needs of travel writers, with an end goal of garnering coverage in a variety of national and regional media. In June, we partnered with the Wisconsin Department of Tourism to help promote the greater Madison leg of the Frank Lloyd Wright Trail. The tour included nineteen travel writers and began in Racine, visiting several Wright-designed properties. Our segment of the tour began with the First Unitarian Society Meeting House, followed by a tour of Taliesin and the Wyoming School, then a trip to the Madison Children’s Museum to see the interactive displays showcasing Mr. Wright’s life and work, and culminated with a tour of Monona Terrace Community and Convention Center. The two-day visit also presented an opportunity to showcase many local restaurants, hotels and other local attractions. In late August, we hosted a second group of travel writers with an agenda that encompassed themes of active living, family-friendly activities, arts and culture, micro-brewing and culinary. The travel writers came from Canada, California, Michigan, Illinois, Boston, Denver, Atlanta and Miami, representing publications including USAToday, Boston Globe, AARP Magazine, AAA Home & Away, Minneapolis Star-Tribune, Midwest Living, National Public Radio, CBS News Online, among others. And the result? 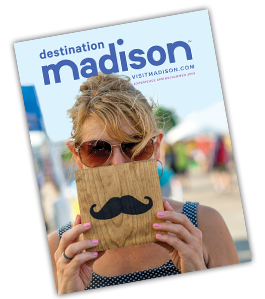 We received rave reviews for Madison – with many writers surprised and delighted with the quality of our attractions, restaurants and hotels, the beauty of our city and how friendly and welcoming our community made them feel. They felt the energy and vibe of our city, the passion and dedication of our partners and left as advocates of our destination. We are beginning to see coverage for the Frank Lloyd Wright Trail tour and have already hit the NPR air with several podcasts from the August tour. It takes a village to make a FAM successful. In total, over fifty GMCVB partners hosted the writers while visiting Madison. Our thanks to all who made these tours a great success by Going>Beyond>Visit. As we bid farewell to a summer spent at the pool, parks and festivals, it’s easy to feel a little down. But Enchanted Valley Acres is here to the rescue and has so many fun things for the whole family to enjoy, you’ll find yourself welcoming fall with open arms! Open weekends, 9/16-10/29 (and a few select weekdays), Enchanted Valley Acres should be on everyone’s fall bucket list. The Giant Slide, a favorite of owners Angela and Chris Kirsch and Wade and Heather Comstock, is over 200 feet long and unlimited rides are included with general admission. The slide was a labor of love and was built by Chris Kirsch, as are many of the attractions at this family-run business. And, if you’ve ever wondered what a Bucky Badger corn maze would look like, Enchanted Valley Acres is the place to go! Wander the 9-acre corn maze, then pay a visit to the pumpkin patch or enjoy human hamster wheels, tire swings, hayrides and so much more! After the fall fun is complete, Enchanted Valley Acres hosts weddings from mid-May until Labor Day weekend and hopes to have its Christmas tree farm open for winter 2019. Enchanted Valley Acres is located at 5047 Enchanted Valley Rd. Cross Plains, WI 53528. For a full list of hours and operations visit enchantedvalleyacres.com. The Madison Area Sports Commission presents Bucky on Parade: a free public art event that will bring over 100 life-size Bucky Badger statues to the streets of Madison and Dane County in the spring of 2018. Local and regional artists will transform these Bucky statues into works of art, which will be on display from May through September. The Madison Area Sports Commission has partnered with the University of Wisconsin-Madison,UW Athletics, Wisconsin Foundation & Alumni Association and the Greater Madison Convention & Visitors Bureau to bring this project to life. Become a sponsor of Bucky on Parade and help us show off the best of Wisconsin, while supporting a good cause. This event will benefit Garding Against Cancer and the Madison Area Sports Commission, as well as additional giveback opportunities for the sponsor’s charity of choice. Choose from three sponsorship opportunities…act fast before they sell out! Follow Bucky on Parade on Facebook, Twitter and Instagram for the latest updates. 111 Martin Luther King Jr Blvd. Our view of the beautiful Capitol is the perfect spot to enjoy fresh tacos, burritos, and salsas. Offering $2 Taco Tuesdays/Thursdays, 25% off Burrito Mondays, and 3-7PM happy hour Monday-Friday. 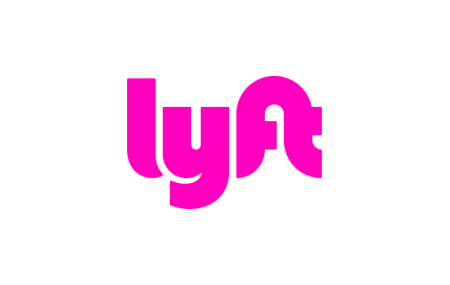 Request a ride from their easy-to-use app and you’ll be on your way in minutes. Request. Ride. Repeat. 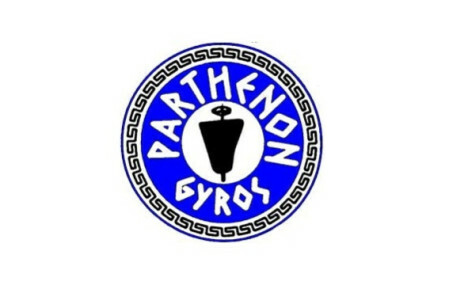 Parthenon Gyros is a third generation Greek family-owned and operated award-winning Madison institution. Famous for its all-natural, house-made Gyros since opening on State Street in 1972. Just by staying at Springdale Inn, you will be creating a greener and cleaner world! With their rooftop of photovoltaic panels, most of their energy comes from the sun. Guests will relish the healthy, bountiful breakfasts and enjoy their 97 acres of paradise. Corporate event planner and meeting planner with destination management services known for programs that magnify brands and communicate messages. They build innovative strategies that align with clients’ participants and goals. SSM Heath St. Mary’s Hospital – Madison is celebrating 105 years of providing quality health care services in the greater Madison area. The original 70-room hospital was opened by a group of Franciscan Sisters of St. Mary, four physicians and four lay nurses. To this day, the hospital continues to provide compassionate and expert health care to every patient who enters its doors. For 50 years, the Taliesin/Frank Lloyd Wright Visitor Center has worked diligently to preserve the culture and natural environment of the Taliesin property, while educating visitors young and old on all things Frank Lloyd Wright. Parthenon Gyros is celebrating 45 years in business this month. This third generation Greek family owned and operated award-winning Madison institution has been famous for its all-natural, house-made Gyros since it first opened on State Street in 1972. Happy 45th Anniversary to the Dane County Farmers’ Market (DCFM). They’ve come a long way since 1972 when 11 farmers pulled into the Square to sell their goods. DCFM now has over 150 vendors attend every Saturday and attracts 20,000 visitors weekly. On September 23, Fromagination is celebrating their 10-year anniversary. Fromagination features a variety of carefully curated wines, beers, olives, breads and table accessories – as well as fantastic sandwiches and catering services. For 5 years, the Wisconsin LGBT Chamber of Commerce has been working to promote economic growth and opportunities among LGBT owned and allied business and corporations in Wisconsin. Thank you for promoting equality for all WI residents!